Yesterday evening(January 17th) a few celebs stepped out for the Sergio Rossi & Elizabeth Stewart capsule collection and pop-up celebration at Westfield Century City. All of the ladies were wearing SERGIO ROSSI heels. 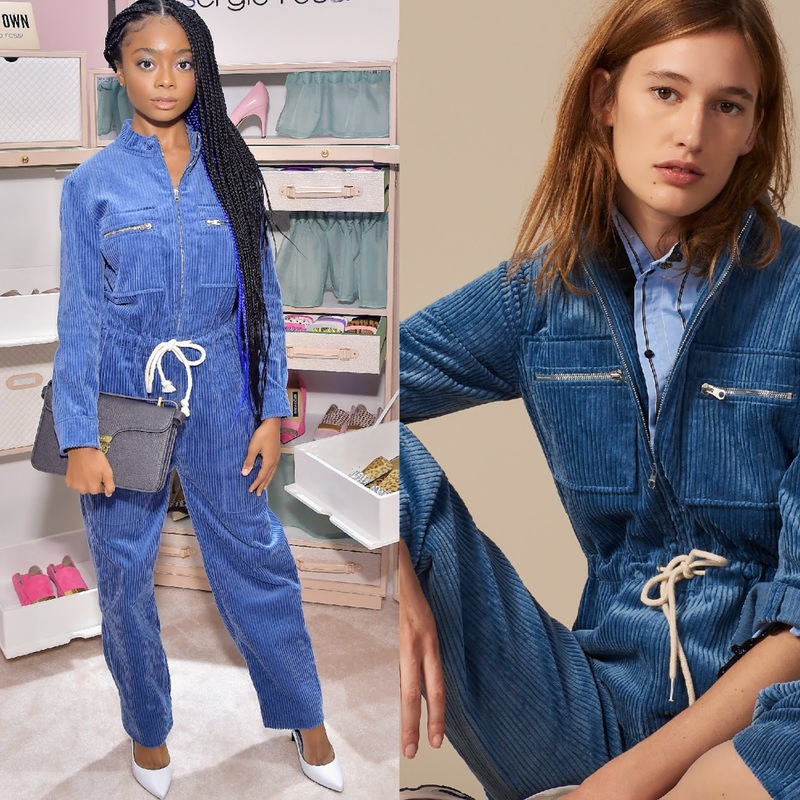 Skai Jackson looked great in a SANDRO FALL 2018 blue long sleeve corduroy jumpsuit, featuring a tie waist. Her beauty look is flawless and the white pumps worked perfectly with her sporty jumpsuit. However while her FURSAN clutch is cute, it doesn't work here. MONICA VINADER jewelry finished up her look. Angela Sarafyan should be on top of everyone's style list because she always brings her style A-game. She looked great wearing a RASARIO RESORT 2019 black & white front bow, cutout midi dress. Minimal makeup, a center part ponytail, a black TYLER ELLIS clutch and white pumps rounded out her look. Elizabeth Stewart posed in a long sleeve black, red and a cobalt blue star printed shirt, and skirt, featuring a tie neckline. Red pumps topped off her great look. 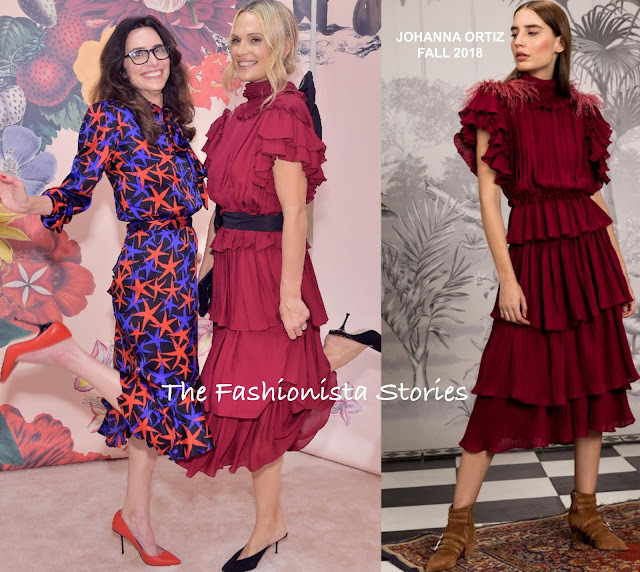 Molly Sims wore a JOHANNA ORTIZ FALL 2018 magenta ruffle tier dress, which she teamed with a black navy satin sash and mules. Lindsay Price wore a printed, pleated dress which stopped just above her ankles. While I like the navy pumps here, pink or yellow would have taken her look to the next level. Jameela Jamil was sitting pretty in a black and white stripe panel suit which she teamed with pink pumps. These are the pumps that Lindsay needed.